Since the 1950s, when the Memphis-based rockabilly sound first swept the world, the acoustic upright bass has remained its showpiece and rhythmic mainstay. 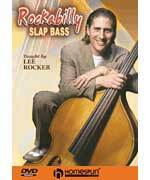 Lee Rocker, one of the masters of the “new wave” of rockabilly musicians, has made an informative and entertaining DVD that teaches the intricacies of the exciting slap bass style to players of all levels. Slap bass combines the plucking of the bottom notes with the percussive hits that the palm makes when it slaps the strings against the fingerboard. By adding these right-hand techniques to blues bass lines and arpeggios, you’ll create spectacular multi-rhythmic slapping that will stop any show! This DVD also provides valuable tips on amplification, bass set-up and other methods of getting the best possible sound. Big Blue’s hot performances of Goin’ To Kansas City, Big Blue Train, That’s All Right Mama, The Hucklebuck and Find Another Man illustrate how rockabilly slap bass techniques sound in the context of a live band performance. Download now from PlayBetterBluegrass.com! Intro to Upright Bass DVD by Andy Howald is a 70 minute video lesson that covers the material in the Upright Bass Primer Book. It focuses on the beginning player and emphasizes proper technique. The video will discuss parts of the bass, proper playing position, tuning the bass, right and left hand technique, marking the positions, how to read tablature, playing notes, how to play with other instruments, and the lesson will also teach several songs. We'll focus on playing in a folk or bluegrass style and learn how to play several bluegrass standards. The video features split screens that allow for close up views of the left and right hand as well as the tablature to be on screen at the same time. Download now from PlayBetterBluegrass.com! NOW ON DVD! Never played bass before? Wanna learn? Here it is! We cover the basics from the ground up and explain the chords on every song. Then we introduce more advanced techniques and different keys. 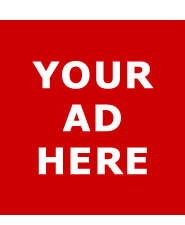 Why stand on the sidelines? Learn to play the bass and join the fun!!! No Tab. 12 lessons. (1 hour, 45 minutes) Download now from PlayBetterBluegrass.com!